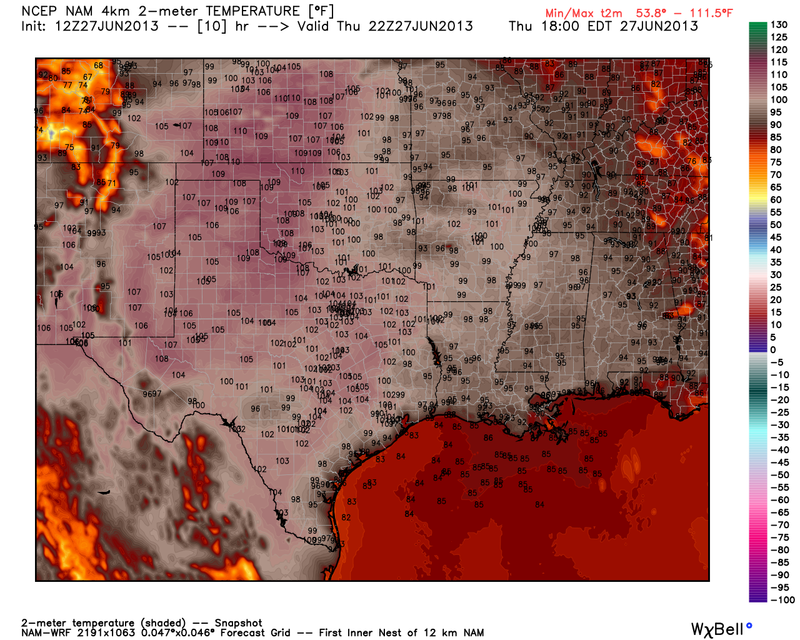 Another Hot Day Ahead - Anniversary Of Highest Temp Recorded In NM. 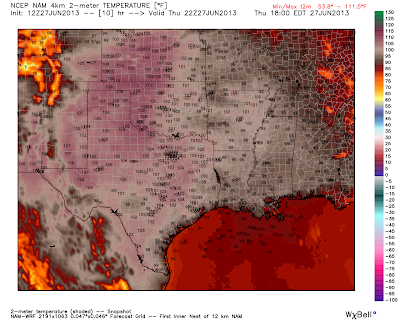 NAM Forecast Temps @ 4 PM MDT Today. Pecos River Near Orla 115. 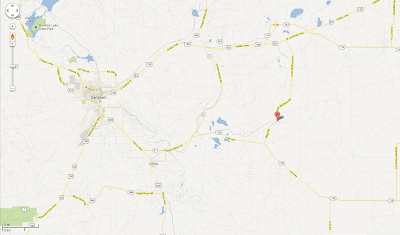 8-Mile Draw Raws northeast of Roswell 111. Paduca Raws near the WIPP Site- 111. My Home in Calrsbad 107. Bat Draw (Carlsbad Caverns) 103. Smokey Bear Raws - Ruidoso 94. Sierra Blanca Regional Airport 91. Yesterday's high temps were the highest of the year so far. 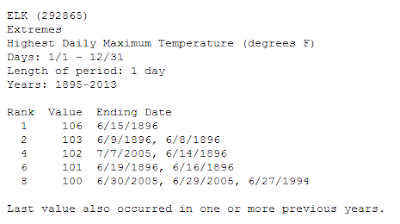 Our long term average high temperatures here in the Pecos Valley for June 26th generally run in the 94F-97F range. Today's readings will be similar to yesterday's, perhaps a couple of degrees warmer in a few spots. Today marks the anniversary of one of the hottest days on record temperature-wise for the local area. 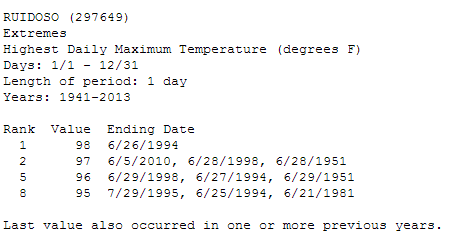 June 27, 1994 was unbelievably hot across the area. Many new all-time high temperature records were established across the local area and the state. 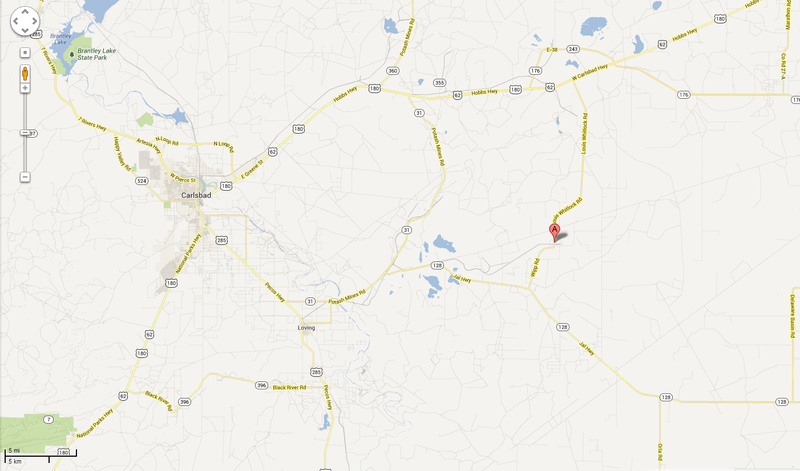 I was living at our family farm in Lakewood at the time and recorded a high temperature of 119.1F. 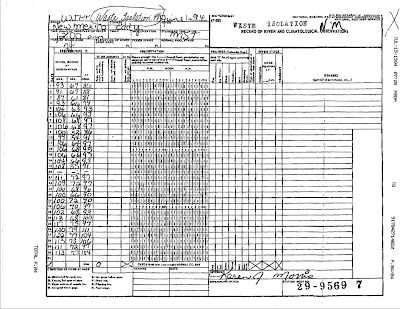 This reading was recorded on a standard National Weather Service Mercury Maximum Thermometer, which was housed inside of a Stevenson Screen Instrument Shelter. 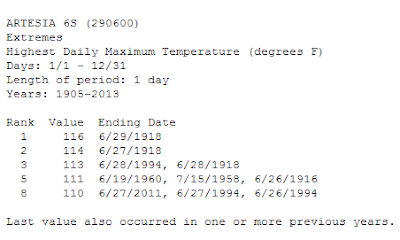 My reading was not consider an official temperature since I was not a official National Weather Service Co-Op Station. Although at the time the Roswell and the Albuquerque National Weather Service Offices considered my reading to be legitimate. However, my temperature of 119F was widely reported by the media at the time as a new all-time state record. 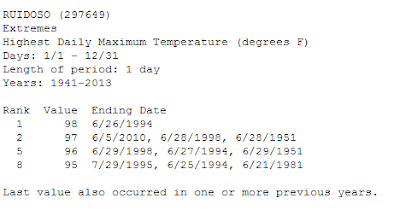 This turned out not to be true since the WIPP reading on that day of 122F was considered official since that site is a National Weather Service Climate Co-Op Station. If you do a Google search on New Mexico's highest temperature you will find many references to the 122F temperature, which has erroneously been associated with Lakewood. Sadly this has never been corrected since that reading was recorded at the WIPP Site, and not at my location in Lakewood. A new all-time state high temperature record was set that eventful day at the Waste Isolation Pilot Plant (WIPP) which is located east-southeast of Carlsbad. An incredible reading of 122F was recorded! This blew the previous all-time state high temperature record of 116F set in Artesia on June 29, 1918, and also in Orogrande, on July 14, 1934, out of the water. 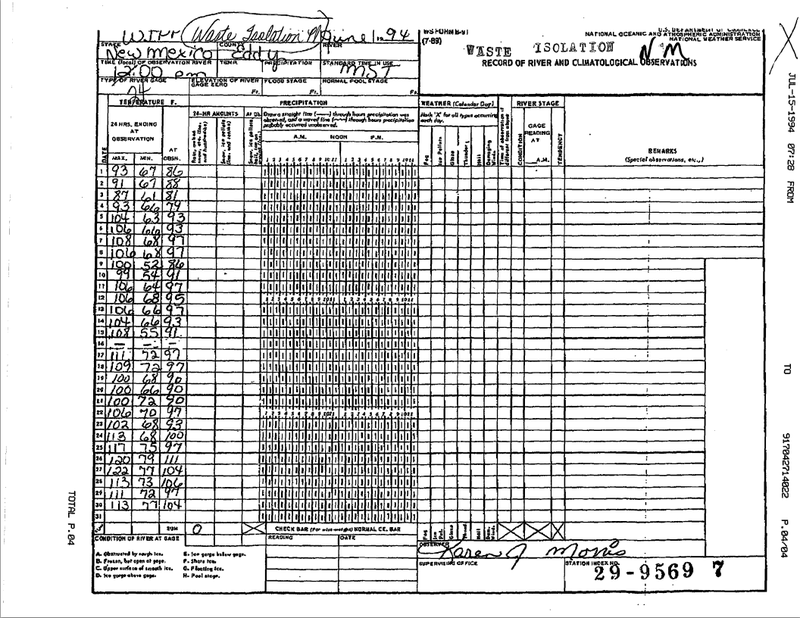 WIPP NWS Co-Op Climate Record For June 1994. Waste Isolation Pilot Plant (WIPP). Data Is Courtesy Of The National Climate Data Center (NCDC).